Wedding season is here, and how! With everything in full swing, it can sometimes be a bit overwhelming, whether you’re getting married or just a guest. Look to this wedding compendium for the need-to-know on honeymoon destinations, the best in hair and makeup, trends in fashion and jewellery, and a dash of celebrity wedding coverage. 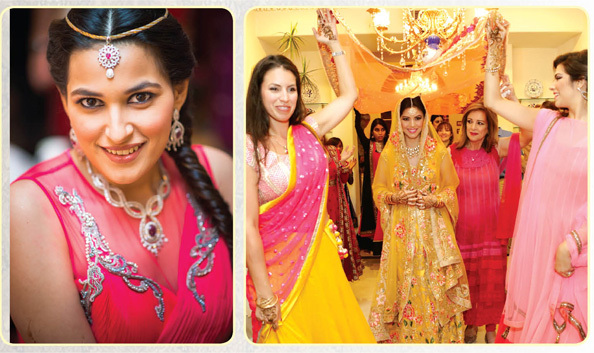 Jewellery plays a very important role in how an Indian bride and her groom look throughout their wedding. On her wedding day, a bride is required to wear several pieces of jewellery, some of which includes a bridal set (necklace and earrings), maang tika, nath, chudis, angoothis, payal, and mangalsutra. In addition, some Indian brides wear a kamarband, baajuband and bichhua. 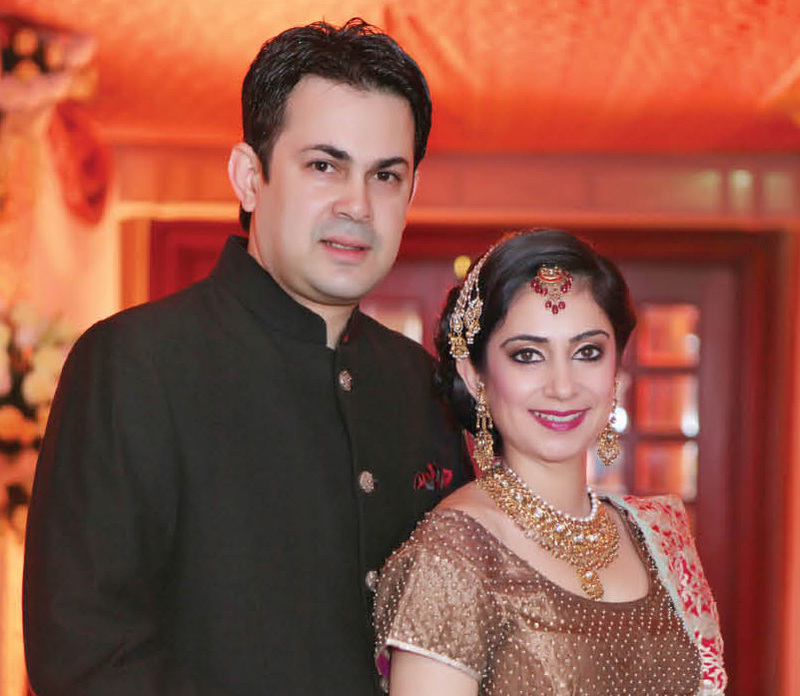 In most Indian weddings, the bride wears gold jewellery. However, this depends on the family’s budget, their customs and rituals, and the outfit that is selected for the occasion. The gold can be alternated with diamonds, white gold, silver, platinum and precious gemstones like ruby, jade, emerald, garnet, pearl and amethyst. Every country has its own bridal trends in jewellery, and one could argue that India’s are among the most glamorous. Some Indian women follow fashion introduced by popular designers and design houses, whereas others prefer custom pieces. The selection process for the perfect bridal jewellery should depend on the bride’s tastes and preferences in colour, design, outfit, the type of outfit (whether traditional, Western or Indo-Western), the colour of the groom’s outfit, and the time and season of the wedding. Trends in wedding jewellery keep changing with time. Many necklaces, bracelets, earrings and other forms of jewellery are specially designed to complement gorgeous lehengas or sarees. There is a wide array of options available at leading jewellery stores across the country. For most brides, a heavy necklace is a must-have. Highly embellished gold, or yellow gold chains with ornately designed pendants and studded with precious stones are quite a rage at the moment. These neckpieces are moderately long, and look stunning in gold and with diamonds. Rubies, emeralds and pearls have charming appeal, too. However, in the current scenario, many Indian brides go with the principle of ‘less is more’; they have begun opting for simple yet stunning pieces. Fusion jewellery is quite common, especially with a mix-and-match of colourful gems and pearls with white gold. Polki and Kundan jewellery are evergreen choices, and will always be the first choice of nearly every Indian bride. Her wedding is the most special day in every bride’s life, and in order to make it memorable, she has to look her best. Every woman dreams about the perfect wedding, the perfect outfit, and the perfect look she wants to carry off on the day. To achieve this, she starts her research months in advance. There are currently several designers who cater exclusively to Indian bridal wear, both for men and women. These designers offer unique outfits for D-day, but they also supply for the other occasions that lead up to it. There is a great variety of designs, styles and colours to choose from. Manish Malhotra, Sabyasachi, Shantanu & Nikhil, Tarun Tahiliani, Ritu Kumar, Vikram Phadnis, Ridhi Mehra, and many other well-known designers offer exclusive outfit selection experiences to the couple, who can customise their outfits however they like. These designers also provide expert advice to those who are unsure of what they want. Bridal studios, boutiques and stores offer a wider range of products from different designers under one roof. These are equally popular destinations for couples during wedding and trousseau shopping. Though traditional lehengas, sarees and suits are usually every bride’s choice, some designers offer a fusion or modern twist to the conventional choices. These are now big hits with modern brides. For grooms, instead of the neutral sherwanis and kurtas, these designers provide the same thing but in different motifs, colour combinations and styles to give it a unique look.